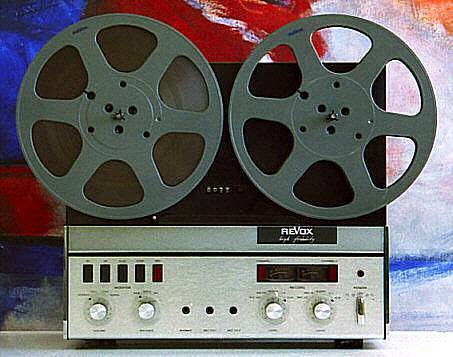 Revox A 77 . La sorgente analogica per eccellenza non è, come si potrebbe subito pensare, il giradischi, ma è quel meraviglioso strumento a cavallo fra il mondo amatoriale e professionale che ha fatto sognare schiere di appassionati della mia generazione: il registratore a nastro magnetico. Il registratore a nastro, inizialmente chiamato “magnetofono”, è uno strumento usato per registrare e riprodurre suoni utilizzando supporti magnetici a bobina aperta. Col tempo questo termine è stato sostituito dal più appropriato “registratore magnetico”. 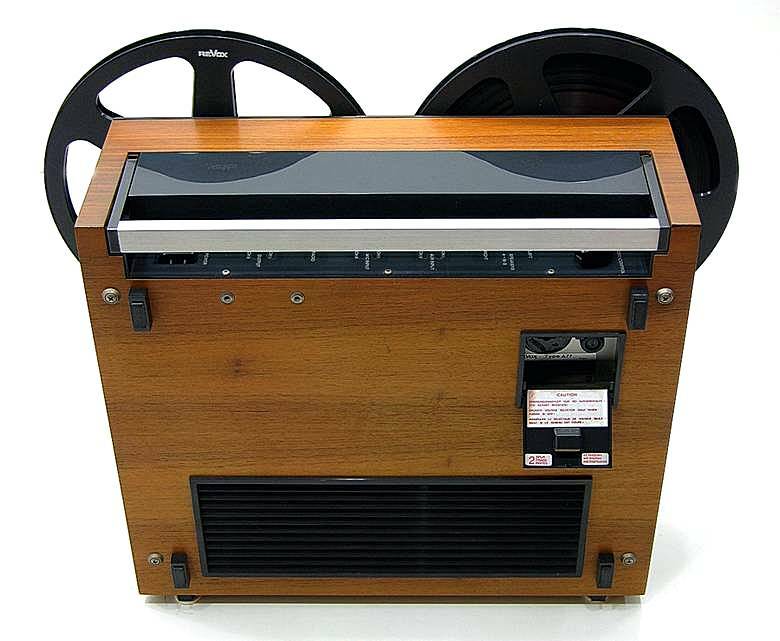 Io ho avuto la fortuna di avere per le mani diverse macchine ben funzionanti di qualche anno fa, un Revox, uno Studer, e qualche altro buon prodotto giapponese (Teac, marchio creato nel 1953), e vi posso assicurare che a confronto con un giradischi di ottimo livello, il registratore a bobine vince in musicalità, dettaglio, precisione e, soprattutto, in dinamica. 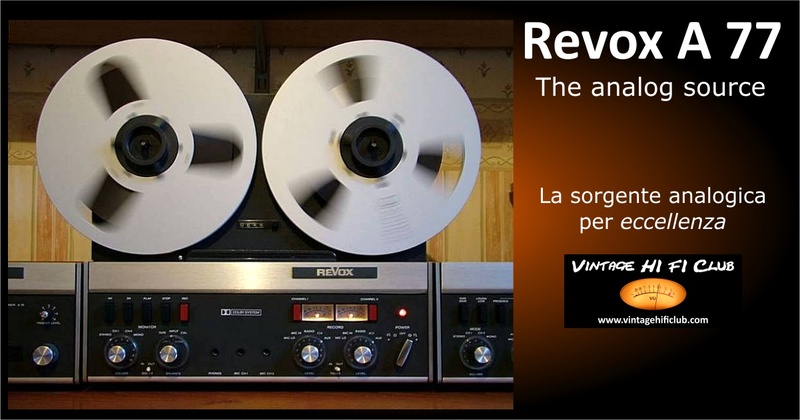 La Revox inoltre è un’azienda svizzera “storica”, fondata da Willi Studer (che già produceva apparecchiature di registrazioni professionali con marchio Studer). Il nome deriva dal primo prodotto dell’azienda, risalente al 1948, un registratore a bobine da 1/4 di pollice, rimasto celebre per il caratteristico calore del suono, il cui nome era inizialmente Dynavox. Infine ricordiamo, nell’immediato dopoguerra, la realizzazione del primo registratore a bobine ad opera del suddetto Willy Studer, che divise la produzione delle sue macchine professionali con il marchio Studer, e amatoriali, con il marchio Revox. 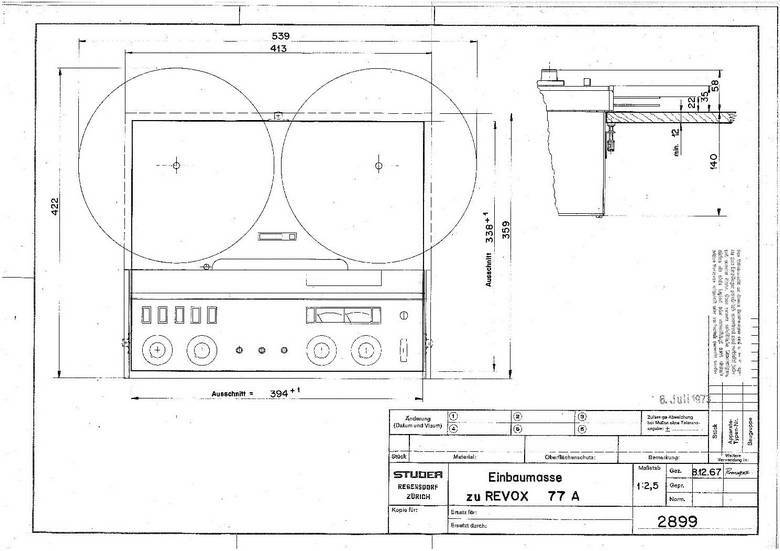 Mitico fu il modello Revox A77, prodotto dall’agosto 1967 all’ottobre 1977, un registratore analogico a nastro a bobina aperta, pietra miliare nel suo genere per qualità sonore, raffinatezza ed affidabilità della meccanica. 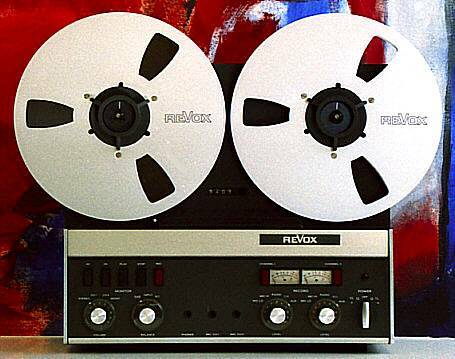 Willi Studer and his Revox tape recorder have gained an en enthusiast following reminiscent of the veteran car era and such names as Bugatti, Bentley and Duisenberg. His machines have been characterised by their advanced design, precision engineering and by their clean dynamic sound; the result of low distortion and wide frequency response. 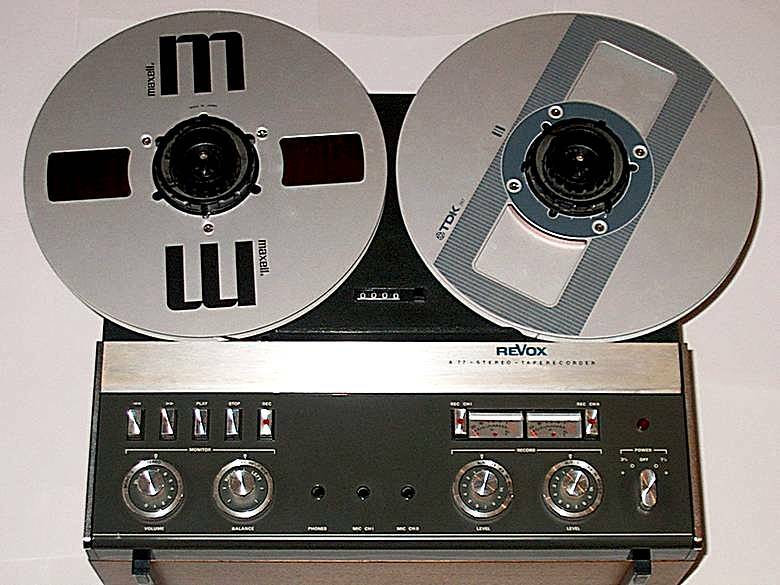 Tape speeds: 71/2 (19 cm/sec) and 33/4 (9.5 cm/sec). Motors: three, incl. electronically governed capstan motor. Reel size-. 10 1/2 in. (27 cm) max. Tape heads: three. Wow & flutter- 0.08% max. at 71/2 ips; 0.1% max. at 33/4 ips. Frequency response: 50 – 15,000 Hz ±1.5 dB at 71/2 ips; 30 – 20,000 Hz, +2, -3 dB at 71/2 ips; 50 – 10,000 Hz ±1.5 dB at 33/4 ips; 30 – 16,000 Hz +2, -3 dB at 33/4 ips. Distortion: 2% max. at 71/2 ips, 3% max. at 33/4 ips. Crosstalk: better than 45 dB (stereo) and 60 dB (mono). Equalization: record: NAB, playback, NAB and IEC (switchable). S/N: 58 dB at 71/2 ips;. 56 dB at 33/4 ips. Oscillator frequency: 120 Hz. Inputs: low- and high-Z microphone; radio, aux. Outputs: 2.5 V across 600 ohms; 200 – 600 ohm phones. Output amplifiers: optional plug-in, 8 W/chan. rms. Remote control: optional; plug-in prov, on chassis. Weight: 34 lbs. (15 kg). An improved version of the critically acclaimed A77. A professional recorder for the discriminating enthusiast. 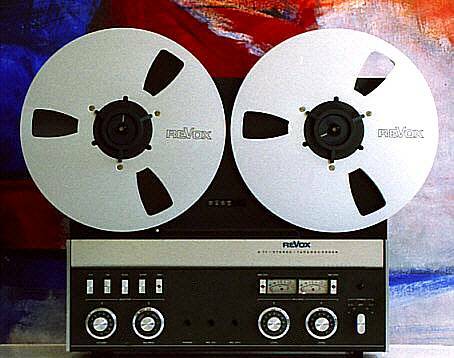 The new REVOX A77 MK lll is the best recorder that REVOX has ever made. 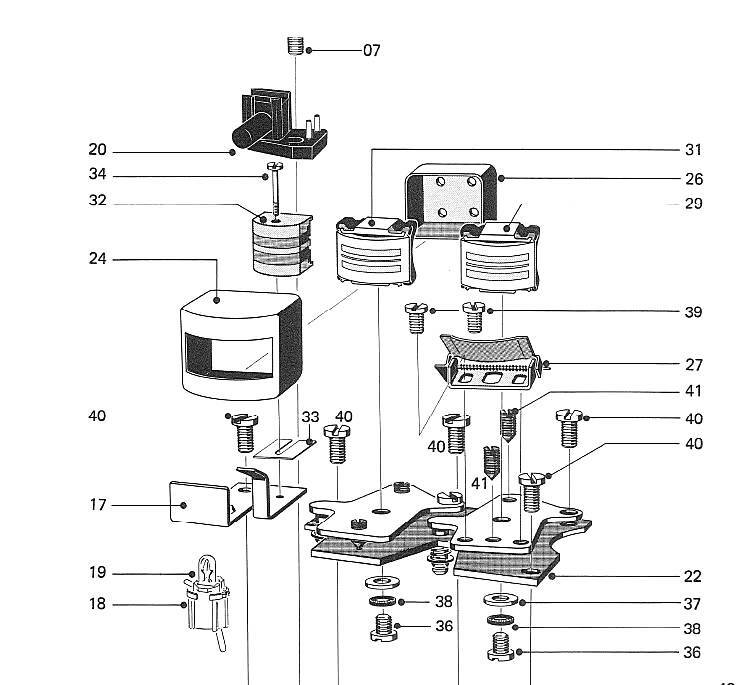 A unique synthesis of reliable electronics and precision mechanics. 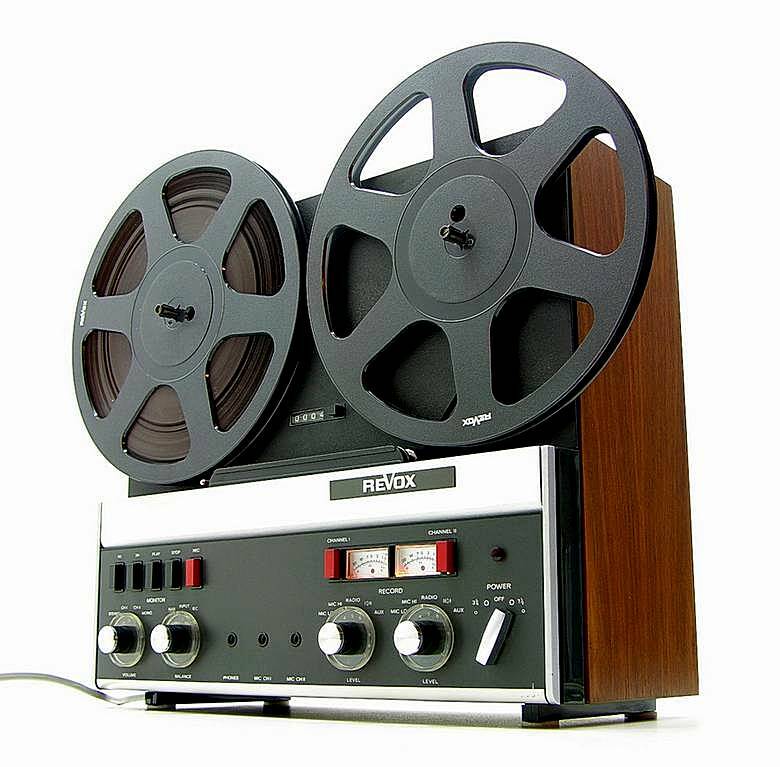 It sets a new standard in tape recorder design and performance. While fully capable of meeting the most rigorous studio demands, its ease of operation also makes it the perfect choice for the serious enthusiast. 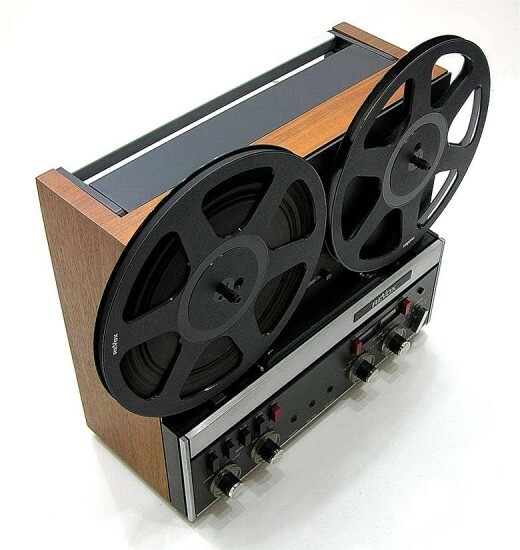 Special version REVOX Dolby A 77 Tape Recorder containing entirely new Dolby B circuits to achieve the ultimate in noise reduction: even the softest pianissimo can be free of tape noise. All mesurements taken with Revox 601 tape. Dolby electronics switched on. by North American Publishing Co. 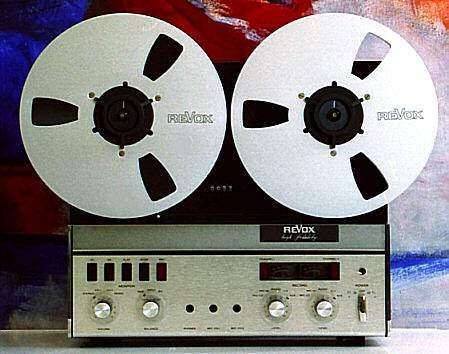 When we tested the Revox A77 tape recorder several years ago (January 1969) we found it to be an outstanding machine in every important respect. 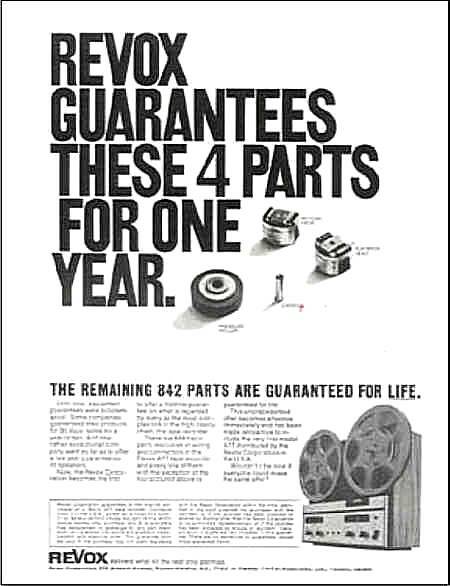 The Revox A77 is still with us – a few minor bugs have been eliminated, but it is essentially unchanged – and it has earned itself a solid reputation as one of the top home or “semi-professional” tape recorders. Revox has now added Dolby B circuits to the already very quiet A77 and has released it as the A77/Dolby B. 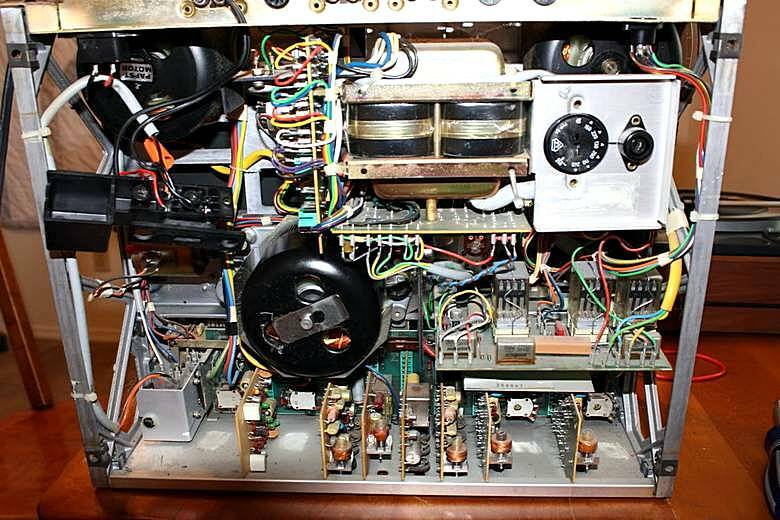 The standard machine without the Dolby circuits is still being manufactured. If you get turned on by big bridges, German cars, Swiss watches, Leica cameras, and Computers if you had three Erector sets at the same time as a kid; if you shadowed the TV repairman and the plumber when they worked in your house; if you just know they’re going to bury you with a screwdriver tucked into your shroud, a Revox tape deck would make you very, very happy. 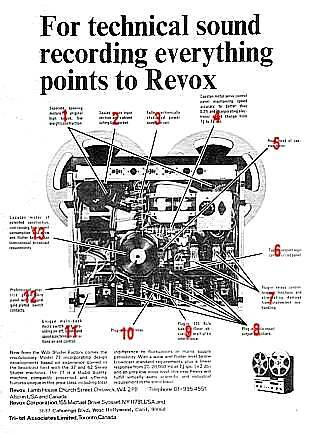 And if you are a music maker or music listener besides, a Revox would make you ecstatic! 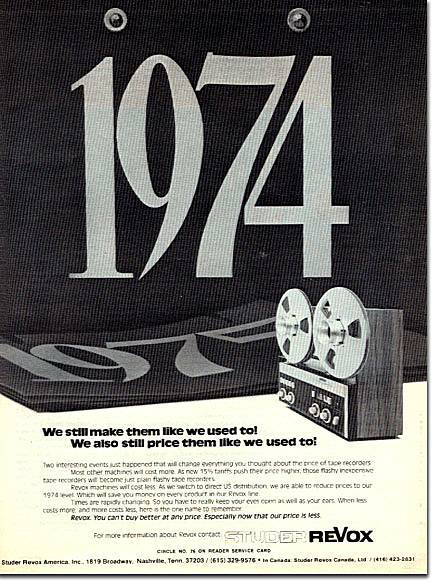 The A77 S. L. S. is available in half and quarter track formats. Frequency response: measured via tape at 7½ ips. 8 watts continuous average power per channel, measured with a load impedance of 8 ohms at a maximum total harmonic distortion of 1%. Loudspeakers having a nominal impedance of 4 to 16 ohms may be connected. 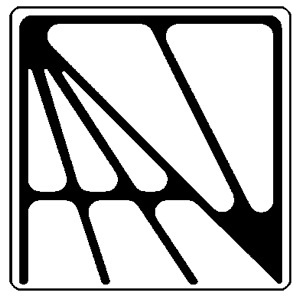 Loudspeakers (2 per channel in the suitcase model) will be automatically disconnected when plugging external loudspeakers into the respective DIN output sockets. Power requirement: electronically regulated power supply. Operation on 50 to 60 Hz power line without the need for change-over. Power consumption without power stages 70 W approximately, with power stages 70 to 100 W. fuse rating. With 26.5 cm (10.5 inch) reels (all models), max. width 539 (21.22), max. height 442 (17.40). 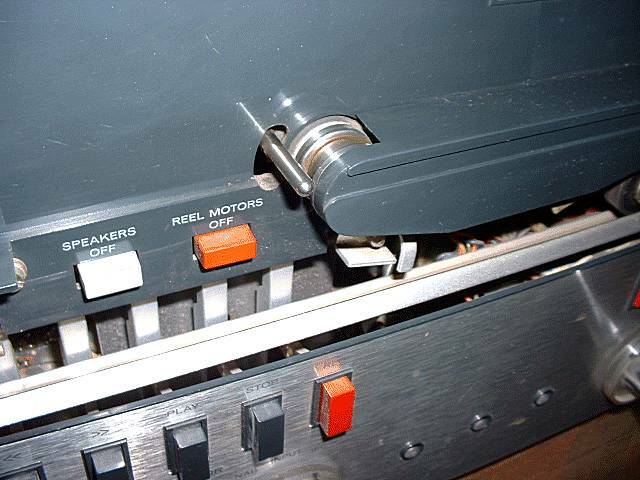 Tape Transport Three Studer eddy current motors. 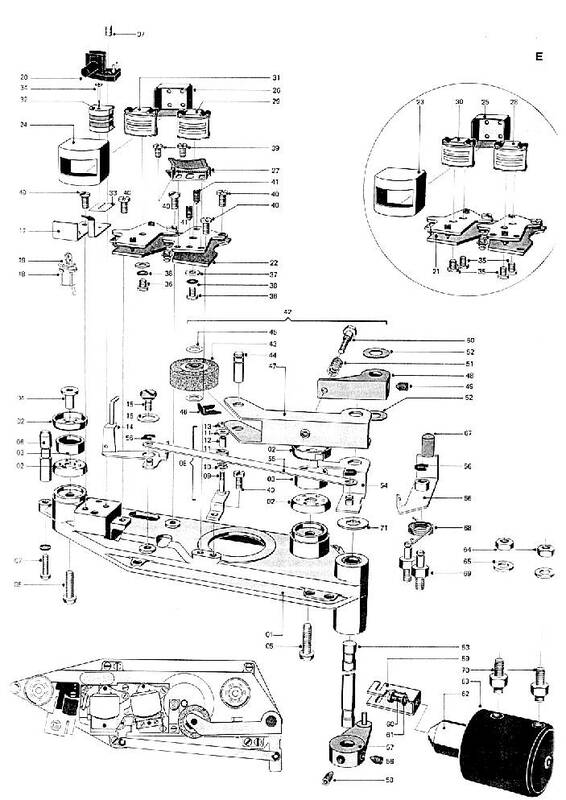 Electronically governed capstan motor. Electronic speed change. Solenoid operated via 3 relays. 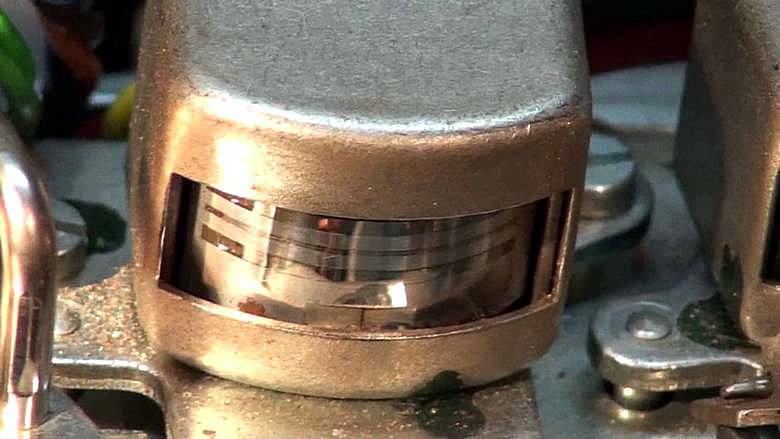 Guide System: The Heads, the capstan drive, and the machines tape guides are mounted to a one-piece casting to maintain precise alignment. 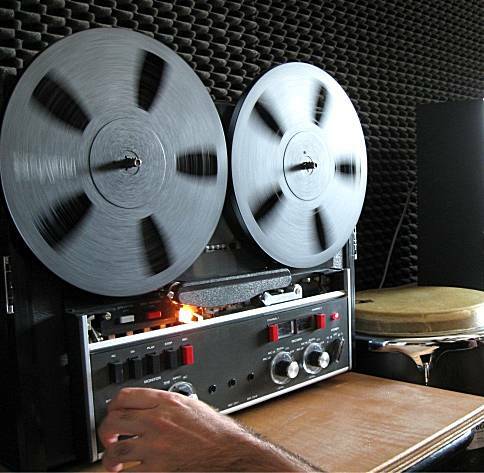 Monitoring Individual stereo record and playback heads with separate preamps, plus separate record and play circuits permit full source-tape monitoring. Equalization: NAB Standard on both record and playback at all speeds.IEC Standard switchable on playback only. at 1 kHz: Max. 2% at 15 ips and 7.5 ips. Max 3% at 3.75 ips. Remote control: Fully electric for all operation functions. 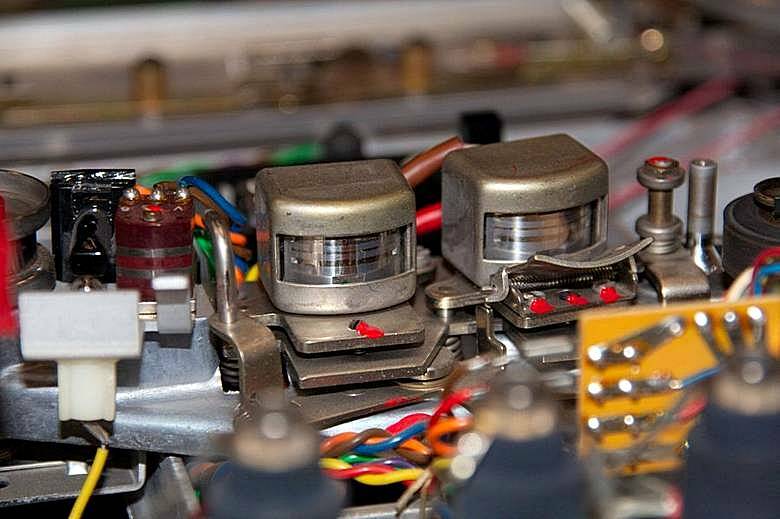 Output Amplifiers: Plug-in optional. 2 x8 watts continuous rms power, 2 x10 watts music power as per IHFM, 4-16 ohms, less than 1% distortion. 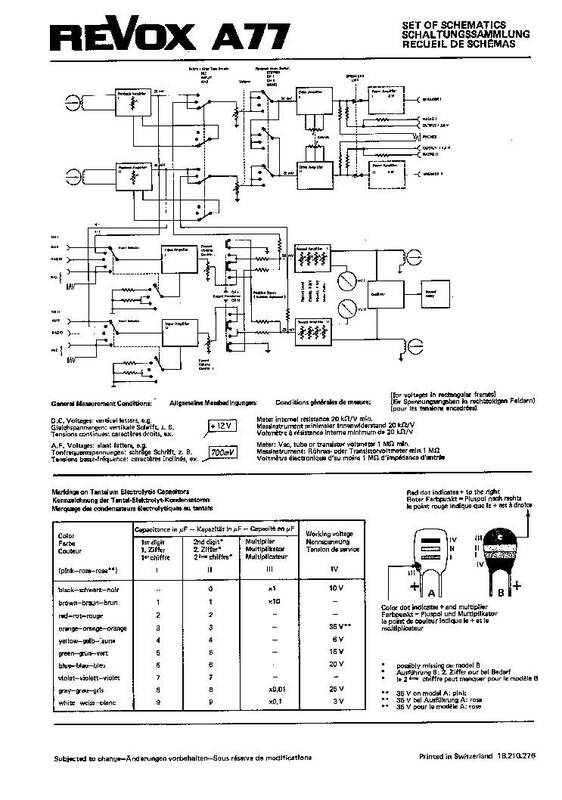 Mains voltages: 110, 130, 150, 220,240, 250V / 50-60 Hz. (Wooden Cabinet) 161/4” W x 141/8” H x 81/2” D.
All figures quoted are minimum performance values as measured with REVOX 601 tape normally exceeded by all units.